Listed below are some of the most common questions we receive. If you can't find the answer you were looking for, call us to find out! What is your re-do policy/guarantee? Our policy is as follows: if at the time of the cleaning, you okay everything and are pleased with the cleaning, however after the carpet/upholstery has dried, the stains have reappeared, or there is something that you deem unusual going on, call us within 5 days of the original cleaning we will come back FREE OF CHARGE to reclean and investigate. We ask that you wait 24 hours before calling. This is due to the fact we want to be 100% sure the item is done drying and that the stains have faded as much as possible. Many of the chemicals the technicians use continue to work after the tech leaves your home. This means it may appear as if the stain is still there, but the next morning, when you wake up, it's gone! We use the big, powerful, truck mounted, steam cleaning machines --also known as Hot Water Extraction. This is the method recommended by most carpet manufacturers. Hot, high pressure water with a gentle cleaning agent is injected into the carpet and then a powerful vacuum pulls out the dirt and water. This leaves your carpets clean and fresh. What is Dry Cleaning or Chemical Cleaning? A cleaning chemical is sprayed on the carpet, then a buffer machine uses a mop head to spin around collecting dirt. This method is only recommended for lightly soiled carpets or between deep, steam cleanings as a maintenance cleaning. Carpet manufacturers recommend carpets be cleaned every 12 to 18 months, or more often if there is high traffic. Carpet is actually a filter in your home collecting dirt, dust, airborne cooking oils, etc. A clean carpet is a healthy carpet. The carpet manufacturer will actually void your warranty if you do not have proof your carpets were cleaned within their guidelines. Can I clean my carpets too often? No! It is a myth that the more often you clean your carpet, the shorter its lifespan. 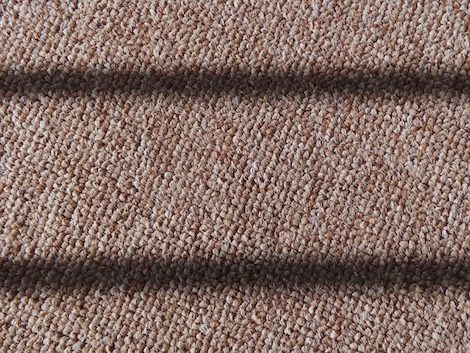 Clean carpet wears and performs much better than carpet with dirt embedded in it. Dirt embedded in your carpet will decrease the life and beauty of the carpet. Usually 2-8 hours. Different factors such as weather, thickness of carpet, and how heavily soiled the carpet was may increase drying time. If your carpet takes longer than average to dry, don't worry. Call us only if after the carpet has finally dried, there is an odor of mildew. Do my carpets need to be protected again after cleaning? Your carpet manufacturer suggests that your carpet protector be re-applied at least every other cleaning. That should be every 18-24 months. Does my upholstery need to be dry cleaned or wet cleaned? Delicate Care: These fabrics include velvets, crushed velvet, polished cottons, chintz, jacquard, damask, and raised velvets. How long does upholstery take to dry? Most furniture will dry in 1-4 hours. Does my upholstery need to be protected again after cleaning? If gentle cleaning agents are used, the protector won't be stripped after a cleaning. The protector usually wears off with use, but harsh chemicals may also remove the protector. If you purchased a 7-year RC Willey warranty on the piece, the protector should not need to be re-applied during the life of the warranty. Inferior protectors may come off with cleaning and need to be replaced. ​Ready to make an appointment? We guarantee that you will get exceptional quality and superior customer service by choosing us to serve your home or business. Results,, along with you as our customer, are what really matters.